Sightings since filling of this gravel pit – the first in the Lower Windrush Valley to be restored as a bird reserve – are summarised. Photographs of many of the rarer birds are included. 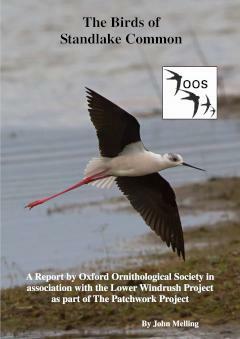 Almost 180 species have been recorded on the reserve including Smew, Great White Egret, and Black-winged Stilt. The booklet is an excellent guide to the birds visible throughout the year both on and around the water from the hides and in the surrounding hedgerows.